In the 1985 James Bond film A View to a Kill – with a theme song by Duran Duran – Christopher Walken plays the bad guy, Max Zorin. 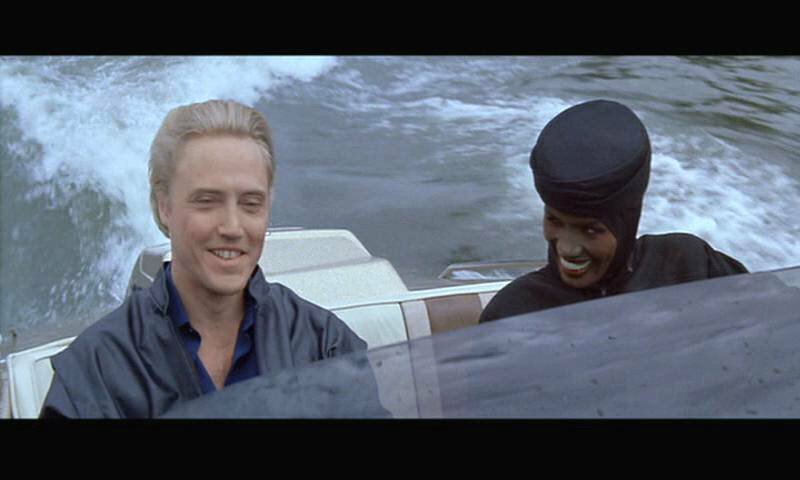 Zorin goes speed-boating with Grace Jones and grins a lot. He has blonde hair. His plan? To blow-up the San Andreas fault outside San Francisco. This will cause a massive earthquake that will flood Silicon Valley and thus do something or other for Zorin’s own microchip business. This will allow him to take over the world. The plan is worked out – this is fascinating – using a model of the city, while flying around in a blimp. You’re in the realm of simulation, hovering anti-gravitationally above the planet – even while discussing a plan to weaponize the earth. 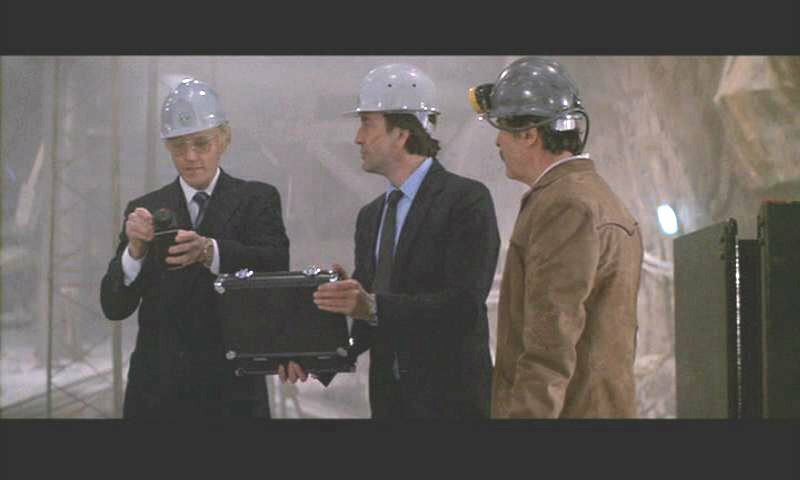 Because then Zorin goes beneath the earth’s surface, wearing a hardhat, where he gets into a discussion with some engineers about the geotechnical nature of the San Andreas fault – including how to blow the thing sky high. 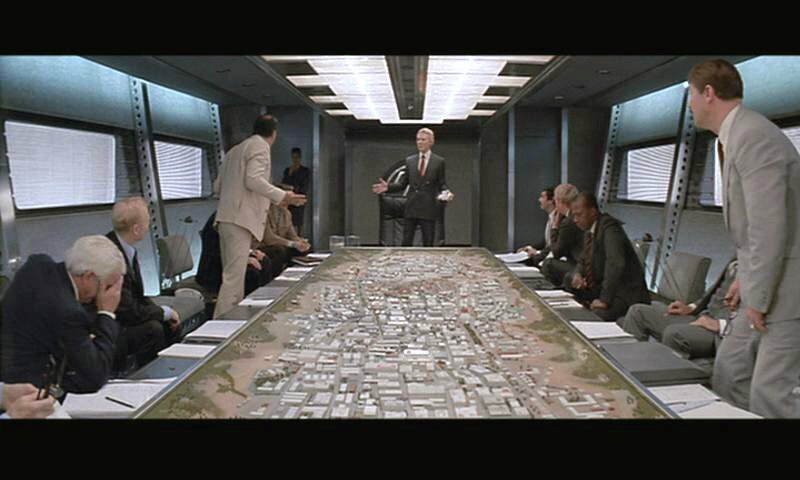 Max Zorin, in other words, has declared tectonic war on the United States. 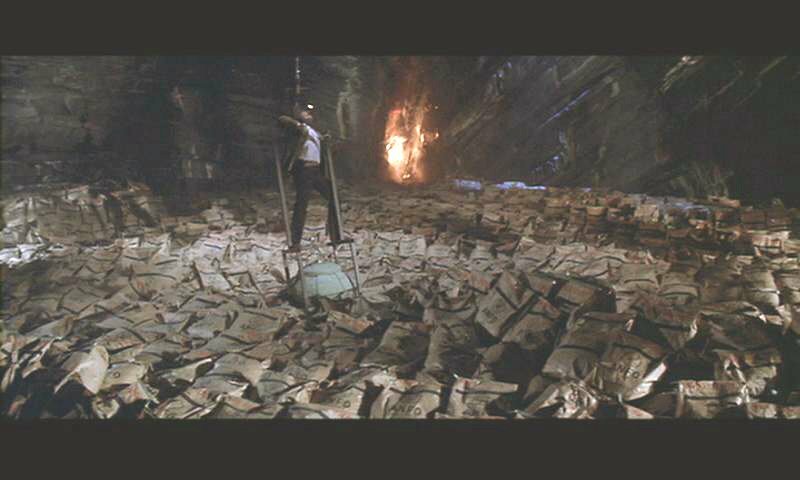 [Images: The mine Zorin’s dug, the sacs of explosives Zorin’s laid, the militarization of seismic activity Zorin has therefore achieved: yes, it’s James Bond in his mid-80s heyday]. 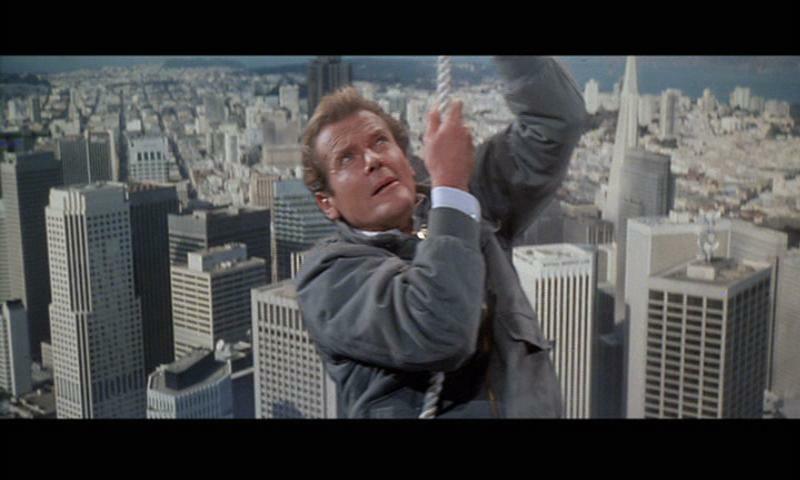 Bond teams up with a female geologist to thwart this evil plan; needless to say, they thwart it. 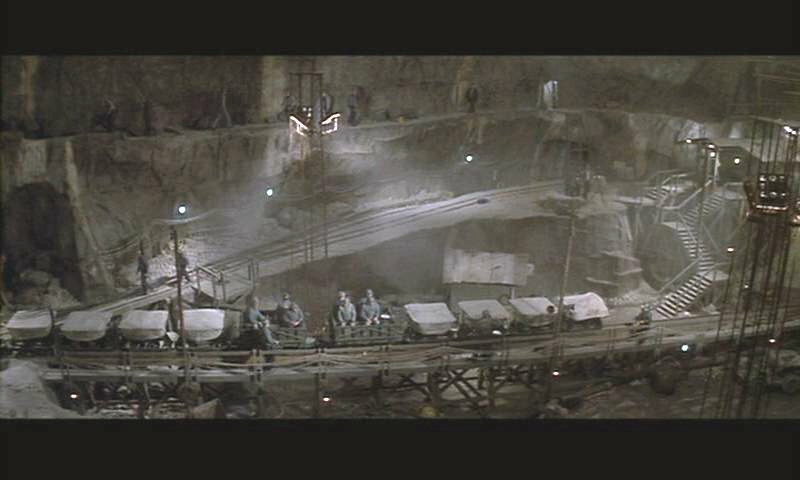 Two quick points: harddrives are already landscapes, of magnetized silicon; therefore by bombing the San Andreas to achieve a kind of microchip/harddrive monopoly, Zorin is imploding the macro- into the micro-, one landscape into the other. William Blake would have loved this film! Second, I’d bet $100 the U.S. military already has something like this in the works: surprise earthquakes in Iran, anyone? Surprise earthquakes in Pakistan? [Image: A cross-section of Ellsworth’s San Andrean lab; from New Scientist]. You may remember that, in the original “Superman” movie (1978), Lex Luthor planned to send a nuke into the San Andreas Fault to cause the California coastline to fall into the sea — Luthor had bought up land inland. This was a simple real estate swindle the American moviegoer could understand. It also appealed to our intuition that California would surely, one way or another, fall into the sea someday. 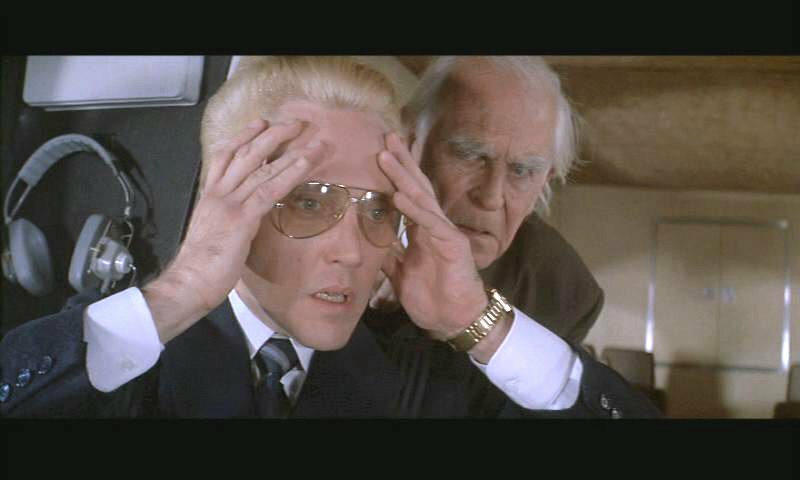 Why didn’t they pick Christopher Walken as the new blonde Bond? I never saw Conspiracy Theory, actually. And I’d forgotten about Superman! But I like your real estate swindle interpretation. I wonder if you could just buy the Fault. The whole thing. Just buy it, and do what you want.